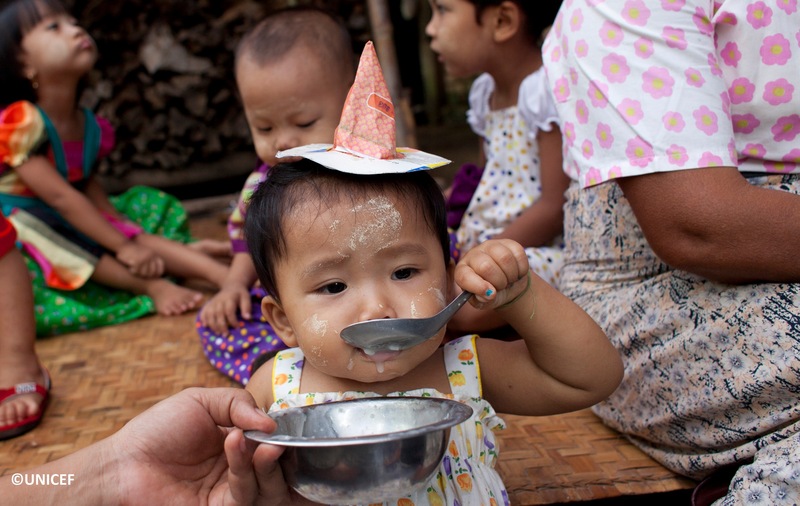 In Myanmar, the prevalence of Vitamin A deficiency in girls and boys from 6 to 23 months is 37%, and much higher in rural areas. Gaw Maw is a remote village in the mountains where roads are dangerous and impassable during the long rainy season, depriving people from access to the nearest health centers in case of emergency. L’OCCITANE supports UNICEF to reach this isolated population with essential interventions, such as immunization and vitamin A supplementation to avoid childhood avoidable blindness. Ah Nyaw is a 24-year-old mother currently pregnant with her second child, living in Gaw Maw, a remote village in Myanmar’s mountains. With her first child, she was unaware of the importance of vitamin A required for the growth and development of her son, also to prevent childhood blindness. Thanks to more sensitization through the opening of a health department, she knows now how to welcome her second child and keep her family in good health.“I also make sure my son gets all his vaccinations and vitamins on time”.